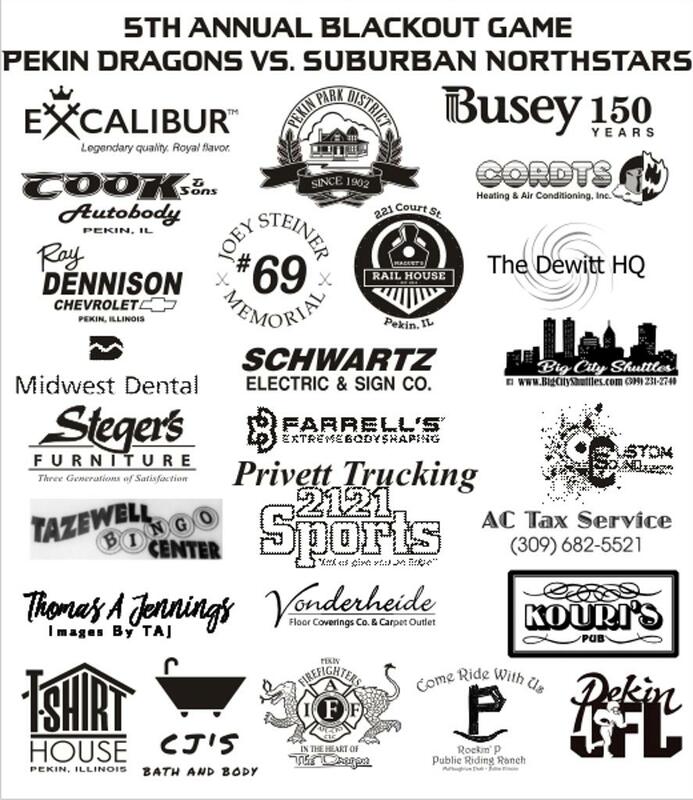 The Pekin Dragons Hockey Club 5th annual Blackout Game will be held January 25th. This year we have chosen the House of Hope, a division of the Center for Prevention of Abuse that focuses on assisting individuals fleeing violent, abusive, and/or controlling relationships or situations. Emergency shelters are located in both Tazewell and Peoria Counties. Individuals who stay in the shelters have access to the recreational rooms, temporary childcare, a fully stocked kitchen, and the protected outdoor perimeter. For the safety of staff and clients, they have high-definition cameras outside the buildings that extend into the parking lot and are monitored 24 hours a day. 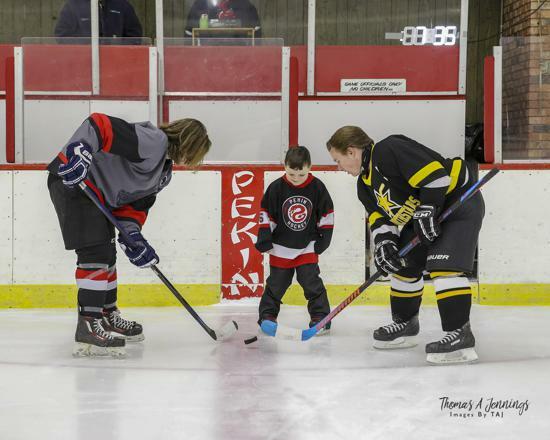 The Pekin Dragons Hockey Club plays a charity game every January called the Blackout game where we raise money to help service organizations in our area. This year we have chosen the Carol House of Hope, a division of the Center for Prevention of Abuse. 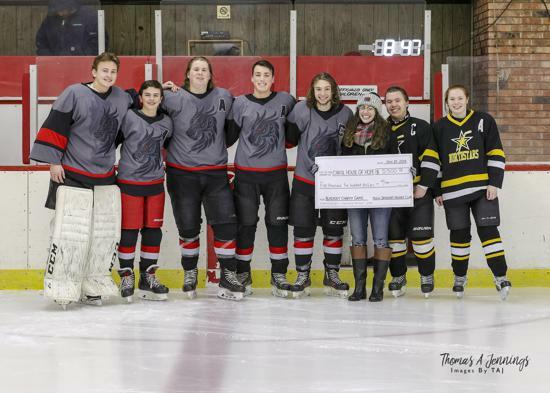 All donating sponsors will be advertised at the rink on billboards during the game, in our Blackout game program, and on our website. Any sponsor with a donation of $100 or more will be included as a sponsor on the back of our Blackout t-shirts that we sell for admission to the game. If you have a logo for your business, we would be happy to use that on the advertising as well. Thank you for your consideration to be a sponsor of our 2019 charity Blackout game. Contact Angie Russell with any questions. You can now preorder your 2019 Blackout Shirt. They act as your ticket to the game held January 25th. They are $10(+ $2 for each size xxl-4xl) for short sleeve and long sleeve are $15(+ $2 for each size xxl-4xl.). All money raised from the shirts and event goes to the Carol House of Hope. You can get your order in now by clicking the link below. 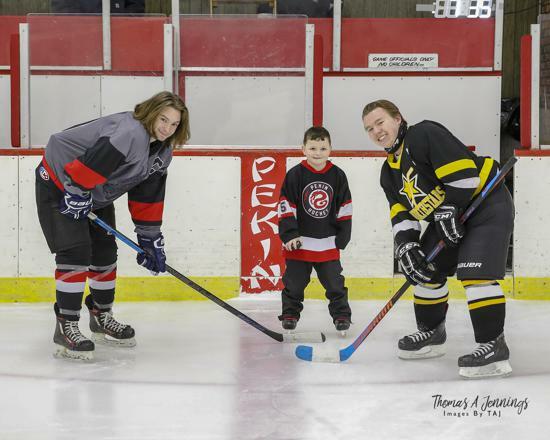 Any PAHA player/member Squirt and younger that buys a shirt will be entered into a drawing to do the ceremonial puck drop before the Blackout game. So if your family buys 5 shirts the PAHA player is entered 5 times.